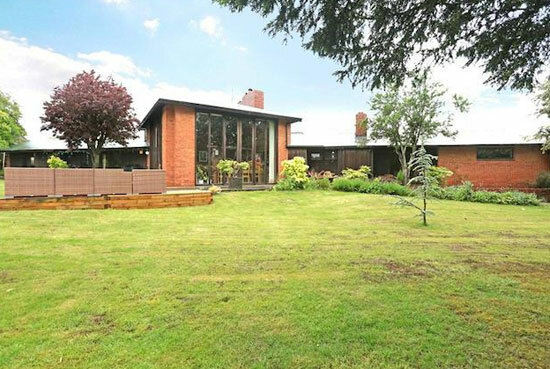 Fancy a midcentury with some Hollywood pedigree? 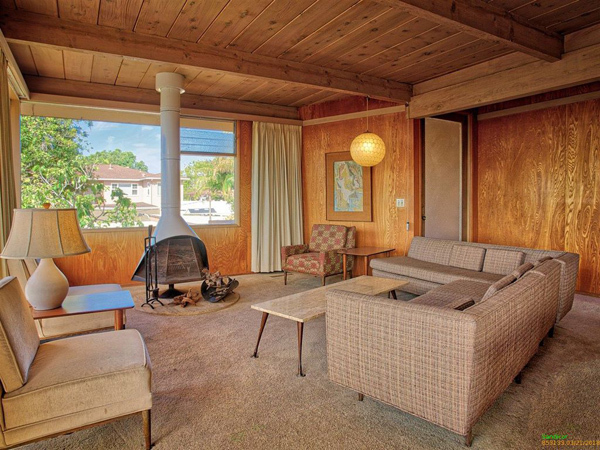 Check out this three-bedroomed property in Los Angeles, California, which comes complete with some old TV props. 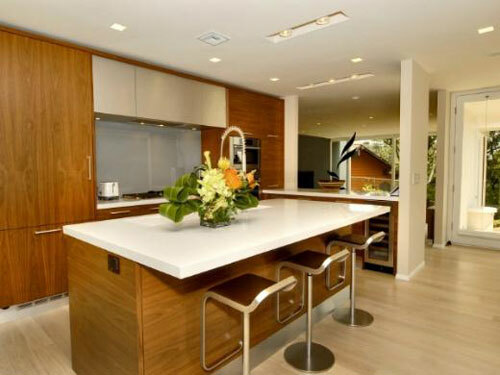 The house dates back to the 1950s, custom-built for the actress Vera Ellen, who was apparently in the movie White Christmas. No, I don’t remember her either. 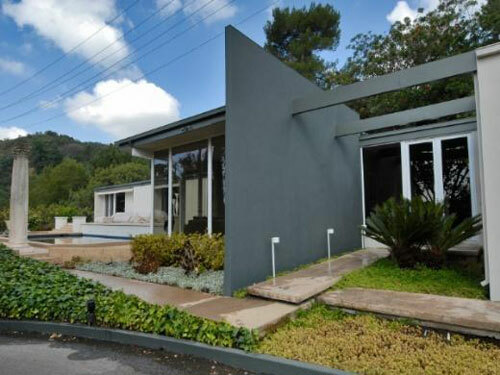 Anyway, it’s set in an acre of land in the Hollywood Hills, specifically on the Outpost Estate. Enter the gated drive and you’ve got parking for 15+ cars on the large motorcourt (apparently rare) and once inside, you’ll find three bedrooms, three bathrooms and the open-plan living space and dining area. Sadly, the futuristic 1950s design isn’t really carried on indoors, the agent claiming it has been ‘remodelled with style and taste’. You can make up your mind up about that, but at least it keeps the floor to ceiling windows. But it does have one unique feature of the past maintained. 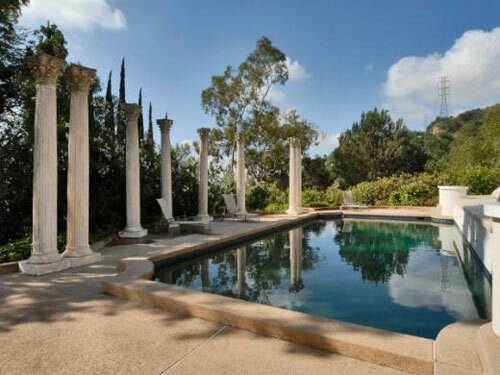 See the pool with all those pillars around? They’re faux pillars, originally used in the Beverley Hillbillies TV show in the 1960s before ending up here. Nice, quirky touch. 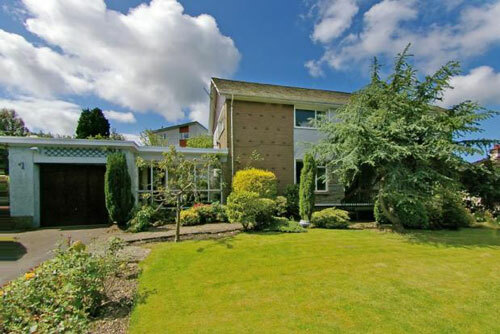 Living in a desirable location with celebrities as neighbours doesn’t come cheap, as you might have guessed. 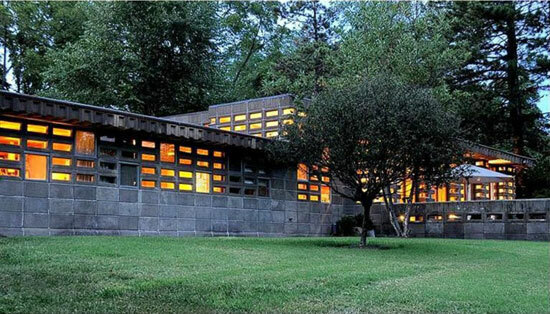 This place is on the market for $4,500,000.